Well...it's been a long time, but hi again (if anyone is still out there?)! Boy, have I missed blogging, but I just needed to step away from here for awhile. I'm not even sure where to start -- I've had so many thoughts about the purpose of this space and what to focus on here going forward, but for now I thought I'd share more of a life update. Q deployed with his unit overseas last May, and made it safely home a few weeks before Christmas. The photo above was from homecoming day as he waited for his bags, and I remember it all feeling so surreal at that moment. Shortly after he deployed, my brother moved to Nebraska for his first call, and my best friend got married & moved farther away as well. I'm so happy for the opportunities they had, but that summer was definitely an adjustment period without them! While Q was gone, I found myself spending a lot less of my free time behind a computer, and much more of it engaged with those who really made life full in his absence. Technology still played a huge role, though, because this time (several years since his first deployment) I could video chat almost daily with Q (!! ), as well as stay connected with spouses in the unit through a Facebook group (which made such a difference as we are spread around the state). And it still amazes me how two bloggers -- Mary and Claudia -- also became such supportive friends who walked through the deployment with me from afar, even as they each were on incredible journeys as military families. If there could be only one takeaway from blogging, getting to connect with women as brave and kind as those two would be at the very top of my list. I am so grateful for what their families (and others like them) do for our country. So, that is one small window into life last year. It's hard to sum up all of my thoughts on it at once, but I hope to continue sharing bits and pieces of things I learned and experienced, along with other fun adventures and projects from the past year. This post honestly took me forever to write -- every time I started, it quickly turned into a novel (and not the page-turning kind). Anyway, more to come, and happy (very belated) new year! Oh how I admire you and your family. 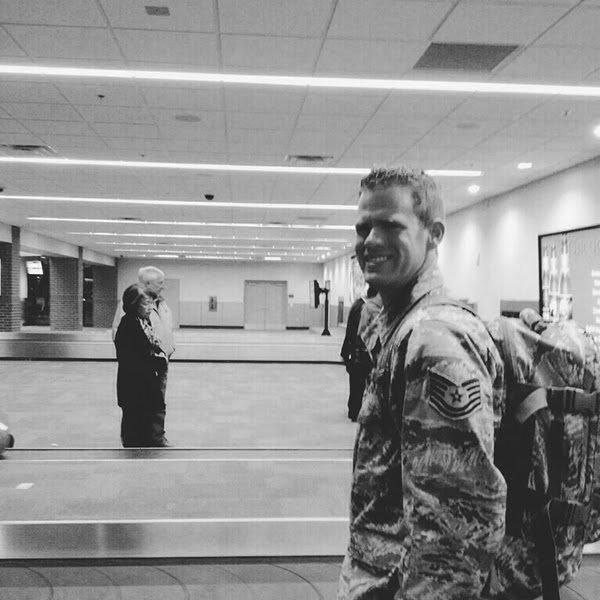 Thank you to your husband for serving. I am excited to see what you do with this space, it's always been a favorite of mine. oh, I have missed your posts! glad you're back :). hooray for homecomings and hooray for the return of hooray! Thanks for sharing with us these special experiences!! And wellcome!! Awww it's so good to get an update on what you've been up to :-) I'm so glad to hear Q is back home with you! So good to hear how you have been doing. Welcome back! I'm still blog reading. Always love your posts.